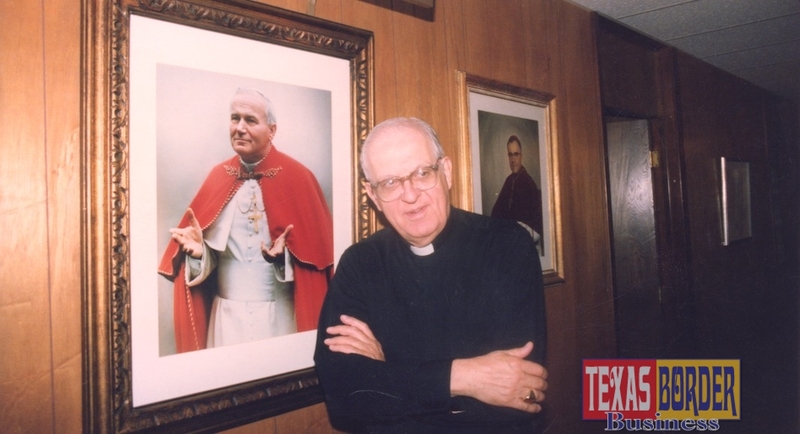 In May 1987, I had the honor of meeting and interviewing the late Bishop John J. Fitzpatrick of the Catholic Diocese of Brownsville. Since the first time I heard his name and what he was doing to help Central Americans – mainly people in need – he impressed me so much that I knew he was a man that I wanted to interview. I am glad I did. In 1981, tens of thousands of refugees from Central America specifically from three countries; El Salvador, Guatemala, and Nicaragua fled civil wars in their homelands. Because of this, Bishop Fitzpatrick promoted the opening of a shelter for immigrants under the inspiration of Archbishop Oscar Arnulfo Romero, who had been a social activist in San Salvador and then murdered by killers while he was celebrating mass. The assassins acted under instructions of General Roberto D’Abuisson, the leader of the Salvadoran army, who later became the President of that country. D’Abuisson distinguished himself as an enemy of the people and cynically anti-Christian. By 1982 Casa Oscar Romero officially opened its doors to refugees from Central America. For many years the facility sheltered about 130,000 refugees and served approximately 2.5 million meals. As I remember it, there was a series of revolts beginning in Nicaragua, El Salvador, and then Guatemala. Those revolts were fostered by communist-socialist activists among whom there were many Catholic priests from Spain and Belgium involved. There was widespread bloodshed, which created a flow of immigrants looking for protection and asylum in the U.S.
At that time, Bishop Fitzpatrick was very committed to welcoming the immigrants looking for a safe haven in the United States. He saw the exodus, similar to what we are witnessing today, of thousands of Central Americans pouring into the Rio Grande Valley. Because of the help Bishop Fitzpatrick was providing to people in need, he was asked by the federal authorities to stop sheltering undocumented immigrants, no matter their political struggles. He had to face federal Judge Filemon Vela who respectfully asked him not to continue. Bishop Fitzpatrick was summoned to court and was asked to stop violating the immigration laws. He reportedly was confrontational but accepted to shut down the Casa Romero. Instead, he promoted the opening of another institution to shelter the homeless. The Bishop even opened his garage door, so people could take refuge. What Bishop Fitzpatrick faced was a phenomenon: thousands of Central American and Mexican refugees crossing the border looking for asylum from tyranny or work so that they could feed their families. I remember him as a gentle and humble man. I have no doubt he will receive the reward promised to a good and faithful servant. I am glad I got to meet him. 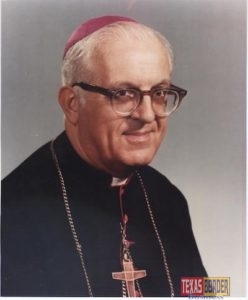 On Saturday, July 15, 2006, in the city of Brownsville, John J. Fitzpatrick Bishop Emeritus passed away. He served as the bishop of the Diocese of Brownsville for twenty years (1971-1991). Since his retirement in 1991, he made his residence at St. Mary, Mother of the Church Parish in Brownsville until he left this earth. He was 87 years of age. It has been said, and rightfully so, that there is an assortment of subjects better off not argued about. This includes religion. The topic of religion is subject to the most objective scrutiny ever pondered in the minds of men. One man’s God is another man’s myth. We are indeed among the blessed to live in a country that allows the freedom for individuals to decide for themselves how to worship, if at all, and the freedom to choose what elements or beliefs to hold sacred in our hearts. Though at times embroiled in a pan of controversy, and often the recipient of harsh and passionate criticism, it should be acknowledged that, more times than not, the Catholic Diocese of Brownsville has proven itself as a stabilizer and sustaining power in the struggle of maintaining a moral and quality existence for those living in the Rio Grande Valley. Bishop Fitzpatrick points out the lack of assistance provided to the refugees including the lack of government involvement. Noticeably absent about the Bishop’s manner is the fanatical ranting and raving of the righteousness of his efforts. Instead, he calmly speaks of his help to the refugees as being the American way. In a few weeks, the Bishop hopes to relocate the Casa Oscar Romero – still viewed as a barrel of bad apples within the community – to its new location in Brownsville. He expects the same troubles which have plagued the Casa in the past. Bishop Fitzpatrick expresses a genuine desire for the people of Brownsville to at least give him a chance to help others as well as local citizens without feeling threatened. John J. Fitzpatrick was born in Canada in 1918. At the age of five, his family moved to Buffalo, New York where he attended all Catholic schools. He spent three years in Rome, Italy before World War II, then returned to the states to finish his studies. He was ordained in 1942 and immediately went to Florida to serve as a chaplain. Among some of his most noted accomplishments here, Fitzpatrick says, “One of the major things is, we have recognized that following the decree of the 2nd Vatican Council, we have called forth the laity to assume some responsibility from the church. We have had a rather large education program to train and inform people to assume certain (roles). The bishop also gives much credit to Valley Interfaith as a source of direction for many people. This organization is responsible for much of the effort to help people do their own thinking and organizing locally for the betterment of schools, streets, and other necessities.